In recent years, McHenry County has gained the attention of companies specializing in alternative energy sources, due to the opportunities in rural open farmland areas. It not only provides a source of clean energy, but also another revenue stream to municipal and county coffers with pending state legislation awaiting Gov. Bruce Rauner’s signature. 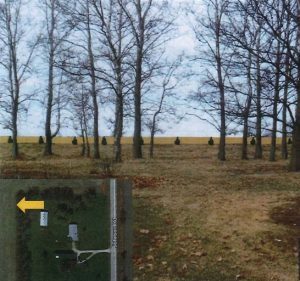 California-based Shabadoo Solar/Cypress Creek Renewables Development LLC, and the Wisconsin-based firm of West Grant Development, Inc. have cycled through the McHenry County Zoning Board of Appeals process, and will be given a date for the county board to consider their controversial project. 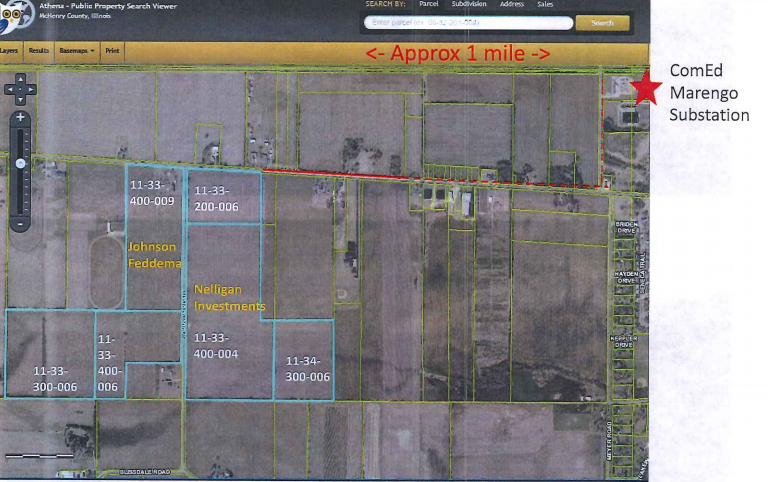 They seek to place a solar panel array on 90 acres near the intersection of West Ringwood Road and South Solon Road. Another site being proposed is a leased 16-acre section of a larger 29-acre parcel in Marengo Township, owned by Michael Grismer. The California-based firm of Borrego Solar Systems Inc. is seeking a county zoning approval for the site on Route 20, near Burma Road, which is planned to generate 2 megawatts. 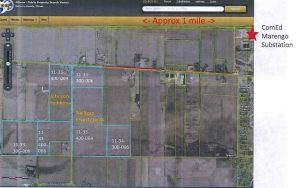 However, a proposed 235-acre solar farm on two parcels along opposite sides of Johnson Road, near its intersection with Route 20, was approved in principle by the Marengo City Council, during its June 25 session. The actions included annexation agreements for 110- and 126-acre sites, each containing three parcels, along with a text amendment change to the existing Estate Residential (ER) zoning designation allowing the solar farm, a precursor to authorizing a 40-year term special-use permit for its operation. The project is being presented by Marengo Solar LLC, a consortium comprised of SunEast Development, Energy Renewal Partners, and Enel Green Energy. Cost estimates range from a $25 million to $30 million investment would place approximately 60,000 solar panels on either side of Johnson Road. The location under contract contains three parcels owned by Richard Johnson and Judith Feddema, and another three parcels owned by Nelligan Investments LLC. The group must finalize ComEd negotiations through its parent company, Chicago-based Excelon, Inc., for energy transmission and connection to the Marengo power substation. One primary concern that has been raised in all the county proposals involves the soil quality of the parcels, after the site is decommissioned. The group has indicated that the life expectancy of the solar panels in the array is 40 years. The special-use permitting also carries a 40-year term, coinciding with provisions of the zoning text amendment. The annexation agreements also contain a clause stating that if the solar farm fails to transmit energy to the electrical distribution system within a period of 12 or more, consecutive months, not pursuing repairs, or refutes the contention within 30 days, the site will be presumed abandoned. The Marengo city council’s full approval, with 4th Ward alderman Dennis Hammortree casting a dissenting vote, follows the Marengo Planning and Zoning Commission recommendations made during an April 16 special meeting. After a public hearing on the proposals, the zoning text amendment to allow the commercial project in an (ER zoning district, and a special use permit contingent upon annexation were approved. It was then forwarded to the full council for disposition. A benefit for the county and the municipalities is state legislation, passed by the General Assembly. House Bill 5284, which “Provides the equation for the fair cash value of commercial solar energy systems in counties with fewer than 3 million inhabitants.” Its offshoot, Senate Bill 0486, allows a property tax code amendment that a commercial solar energy system should be calculated at $218,000 per megawatt generated. Both bills cleared the state legislature and will become law upon Rauner’s endorsement. The Marengo ground installation is expected to produce up to 40 megawatts of energy, and could factor out to $330,000 in property taxes on an annual basis, relative to the area taxing rate. The Marengo ground installation along Route 20, on either side of Johnson Road, is listed as unincorporated McHenry County, until the annexation agreements are effectuated to bring them into the municipality’s fold.